Analynk Wireless is an innovative designer and supplier of wireless instrumentation for the process control industry, used in both hazardous and non-hazardous locations. Analynk Wireless also manufactures a line of traditional wired instrumentation sold under the brand Telmar Instruments. For more information, visit the Analynk website here or call 614-755-5091. Wireless transmission of process measurement and control signals has not been new technology for quite some time. In many cases, wireless connection is the installation method of choice over cabled. The benefits in speed of implementation and cost are substantial. That said, as the technology continues to permeate industrial installations of every size, there still remain facilities where it has not made any inroads yet. When technology is new to the industrial market, especially if it challenges the current way things are done, early adopters with larger scale, higher dollar operations are needed to put the technology into practical use and generate manufacturing volume for the technology producers. If deployment of the technology proves beneficial, the market grows on the consumer and producer sides. With greater efficiency and scale, coupled with growth in the knowledge base throughout the market with increased penetration, costs tend to decrease, while the range of feasible applications and projects grows. Wireless communication for industrial applications is well beyond the point of early technology adoption. Protocols are in place, products for the transmitting and receiving of wireless process signals are mature. As a stakeholder at any level of a processing operation, you should confidently consider wireless connections between measurement and control or recording devices as part of any new installation or upgrading of existing facilities. 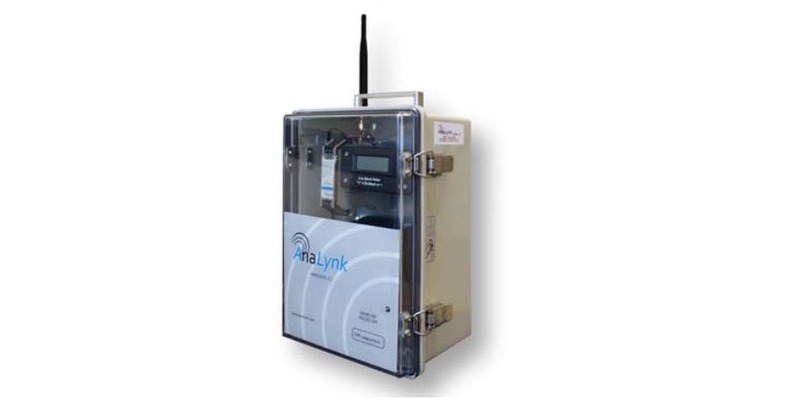 Analynk's wireless demo kit includes a model A750 receiver and A753 transmitter both housed in NEMA 4 enclosures. The kit operates at 900 MHz with full 1W power. Locate the transmitter and receiver at points where you wish to establish a wireless connection. You can provide your own input signal, or use the provided simulator to show that a wireless connection can be established and function in a manner that will give you confidence to move forward with implementation. The kit is useful for testing out possible new locations for distance and signal strength. You will use it as wireless communications expand through your facility. Test the location first, then order the needed wireless equipment. It's a solid and low risk solution. An additional use of the prefabricated transmitter and receiver stations is as a temporary portable means of establishing a connection between measurement and control points. The units can even be solar or battery powered, if no power source is available. Analynk is a manufacturer of both wireless and wired devices for process measurement and control. The company's offering includes a wide array of standard products, as well as integration and customization to meet specific project requirements. Contact the specialists at Analynk to discuss your industrial wireless application requirements. Analynk Wireless is an innovative manufacturer of wireless instrumentation for the process control industry which include HazaLynk™, SensaLynk™ & Telmar brands.